If you wait to fix something until it becomes a problem, you've waited too long. Not all used packaging equipment companies stand by their machines, but at High Performance Packaging, we believe in our equipment and the services we provide. We'll work with you to perform regularly scheduled, preventative maintenance on your used packaging machinery, reducing your risk of untimely breakdowns and downtime on the line. All too often, production personnel is too busy operating the machinery and can't devote the time and energy necessary to properly care for it. Whether you're using new or used packaging equipment, when it isn't tended to on a regular basis, it degrades and wears down, and issues start to snowball. When your business is rooted in consistency and efficiency, few problems are as serious as equipment that constantly breaks down in the middle of production runs. 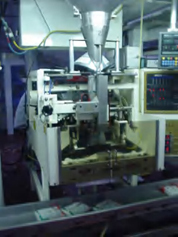 At High Performance Packaging, we don't just want to sell you a top quality, refurbished machine—we want to help you maintain it, so that it continues running as well as it does the day we set it up. We can help eliminate surprise machine failures, making sure that your used packaging machinery is always running at PEAK℠ performance standards. High Performance Packaging executes a Proactive Service Level agreement with many of our customers to help them minimize downtime and waste. We work with you to design a customized preventative maintenance plan together, so that it always fits your specific needs. We'll agree on the targets and your performance goals. With our decades of experience and thorough, nuanced understanding of our used packaging equipment, we know how to create a plan that's efficient and fair. Let us work with you to develop a preventive maintenance program that will ensure better-running equipment and fewer headaches in the long run.